CORRUPTION – that third C in the triad, not mentioned in the article below with its other two companions: Car-pālanaya and Comrade-principled politics – comes in many forms, shapes, and disguises. Governments touting Good Governance as an emotive pivot on which to swing open the doors on democratic-republican reforms can or must work harder to regain the moral high ground lost over recent debacles privileging principals over principles. Realpolitik, regrettably, is the right-royal stumbling-block that may lamentably trip up the (previously, ostensibly, greenest of sea-green) incorruptibles who won’t! don’t! can’t! 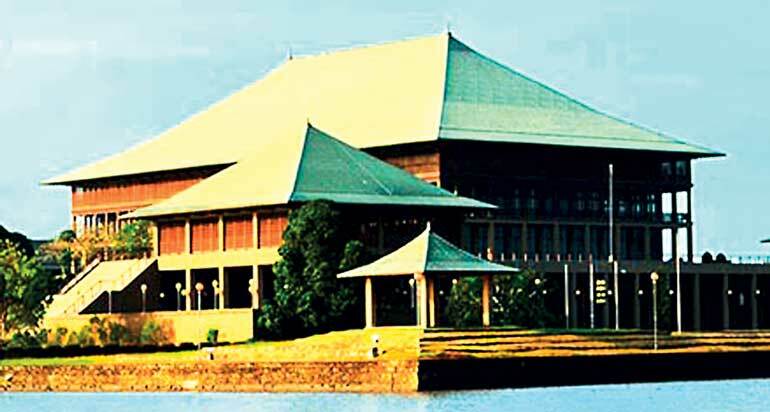 take stock of the share that favouritism; refusal to place personal friends in positions militating for conflict of interest; and overlooking self-serving negligence as a ladder to unethical practices; contributes to the necessarily broadly defined third C.
Now that the dire strait of the Central Bank of Sri Lanka (CBSL) imbroglio has been successfully navigated, the ship of state seems set to steady itself on course for a predetermined destination. There are, of course, more perils to be bypassed – such as the threat of an unbiased COPE report on the fiasco, awaiting “expert opinion” (ahem…) prior to release – God and Mr Speaker only know why. Then there’s the independence of a compromise appointee (not compromised vis-à-vis his integrity by the non-issue Galleon saga, as some allege) yet to be tried as much as his mettle is to be tested. With that said, the new CBSL Governor seems in fine fettle: with not only his enthusiastic swains defending the man’s lack of ethnic chauvinism (as if this was an issue), but also his sworn enemies feting the gentleman’s character in general and his probity in particular. (Which, in some lamentable estimates, is in direct proportion to the Harrovian schools he attended and the hallowed sports he represented club and country in. Shame be on him who thinks evil of it not, eh?) Be that as it may, the nation might gladden its heart in the reestablishment of the 3C paradigm of governance (Consultation, Compromise, Consensus) at the upper echelons of the coalition government – if the lower rungs or rank opposition still seem cavorting at ducks and drakes with the democratic-republican project they seem to be unaware they have collectively undertaken. It is to a triad of these related issues that the President, the Prime Minister, and the Members of Parliament – all of whom were elected by ‘we, the people’, to do a job for us (not them, my dears) – would do well to turn their attention in the short term. I need not labour the point of this inexcusable but pragmatic excess – certainly not to a polity stricken by VAT and what else is up with the cost of living, or dying, and making ends meet in the midst of growing domestic economic constraints in our republic today. Nor, one feels, should it be necessary indeed to emphasise the ramifications of an equitable distribution of wealth to a coalition whose tax regimen and macroeconomic worldview held much promise to remedy the ills imposed on the public by a regime hell-bent on an equal distribution of poverty and oppression. But politically sensitive analysts and socially minded commentators are at pains to underline the egregiousness of government’s intentions to furnish their parliamentary cohorts with a fleet of super-luxury vehicles. In the face of their country-people’s unalleviated suffering. So it behooves me to attempt a pertinent summary for those who aren’t privy to the published infographics. And, one hopes, that the people’s representatives who cry bitterly in comradely empathy at the plight of the common populace will be moved by the ramifications of this recap in print? Even if the cold stale information re-circulated via email has not captured their attention or captivated their hearts and consciences yet! That an anguished outcry on social media prompted the Prime Minister to suspend the approval of the supplementary estimate – for a while, at least – and the President to slap an embargo on government mandarins’ foreign travel – for a while, at least – does not in any way detract from the egregiousness of the equation. The price of three super-luxury cars for these worthies’ use, on average, tantamounts to the cost of a whole village’s sad and sorry state of living; which irony seems to have escaped the “people’s representatives”. The CSBL fiasco highlighted several fault-lines in the sardine-can coalition. For one, the big fish are sometimes compelled to swim against their collation partners’ tides and betiding – which may be good for the common current of the 3Cs in the greater comprehensive national interest than in the general coalition’s unity or cohesion. For another, at least part of the reason that chief executive and executive chief are – or seem to be – at loggerheads is on matters of principle to do with one principal. The President had long made it clear that he was not in favour of the gubernatorial incumbent perhaps because the conflict of interest red flag had been raised for over a year. The Prime Minister was adamant that the principal widely perceived as his favourite was not complicit in any misdemeanour by virtue of a superior court not having found him guilty of corruption or wrongdoing. While the 3Cs were seen and shown to come to the rescue of the coalition’s impasse, the perception that even Good Governance is not exempt from the temptations of putting ‘loyal’ (or ‘royal’) principals over principle, the coalition government’s petty foibles (proved in the court of public opinion) pale in comparison with the previous government’s alleged grand or systemic larceny (yet to be proven in any court whatsoever). It remains to be seen what the senior executives of the less stridently GG-thumping coalition government will do to regain the moral high ground as a prerequisite to pushing through the rest of its reforms – or, in fact, whether such a redirection of its moral compass to arrest and reverse its falling popularity barometer is on its agenda at all.